When the Ligonier Valley Rail Road ceased operations in 1952, Idlewild Park bought the property and used it for employee housing until 2005. 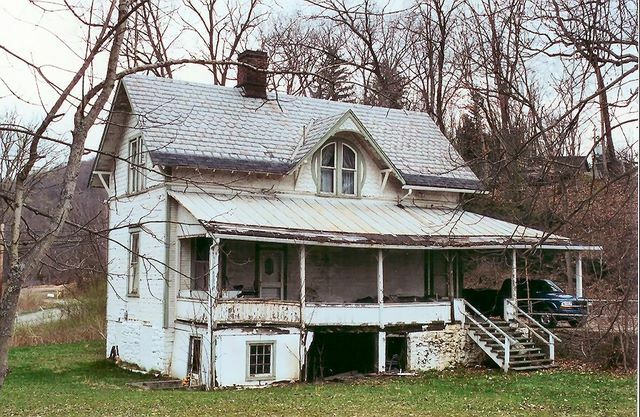 At that time it was abandoned and scheduled for the "wrecking ball". Fifty one years later the porch roof and porch is visibly sagging, the exterior is worn and there were several other problems.